Below is a press release from the National Aids Trust asking Hertfordshire County Council to tackle the chronically high levels of late diagnosis in the County. Some areas have rates of over 25% above the national average, with the majority of these being in the west of the County. We really feel it is time Herts County Council and the Herts Valley Clinical Commissioning Group reinstated funding for our testing service that they decommissioned 4 years ago. Please feel free to write/email/tweet your County Councillor and MP asking that this be made a priority! See a copy of the press release below..
Don’t forget if you think you may have been exposed to HIV or haven’t ever tested then you can do so using one of our postal testing kits. The service is entirely free and confidential, you can test at home or at our premises, collect a kit from us or ask for one to be posted to you. the results will be delivered to us after you have posted your sample. Please see our website http://www.thecrescent.org.uk or email testing@thecrescent.org.uk for more details. Here are a series of links to info on HIV in the UK, USA and the rest of the world. Outstanding Support For Our Quiz Night Fundraiser Last Week. A HUGE thank you to all those who participated, donated or otherwise supported our Quiz Night on Friday last week. The event was a resounding success with far more people arriving than expected ! We had to put out more tables and rearrange seating to get people in! Amazing to have so much local support, we raised thousands on the night itself, with more donations coming in this week too. This will help us keep providing essential services for the people living with HIV in Hertfordshire and beyond. Keep watching this space for more information on our next event, which will feature a book launch by another of our patrons, James Wharton, whose excellent book “out in the Army” is released next month (June). Here is an extract from Amazon describing the book.. The long awaited opening of the Stand Tall Get Snapped Project approaches. Please see the posters below for more details on this amazing exhibition featuring PLWHIV talking about their journey since diagnosis. 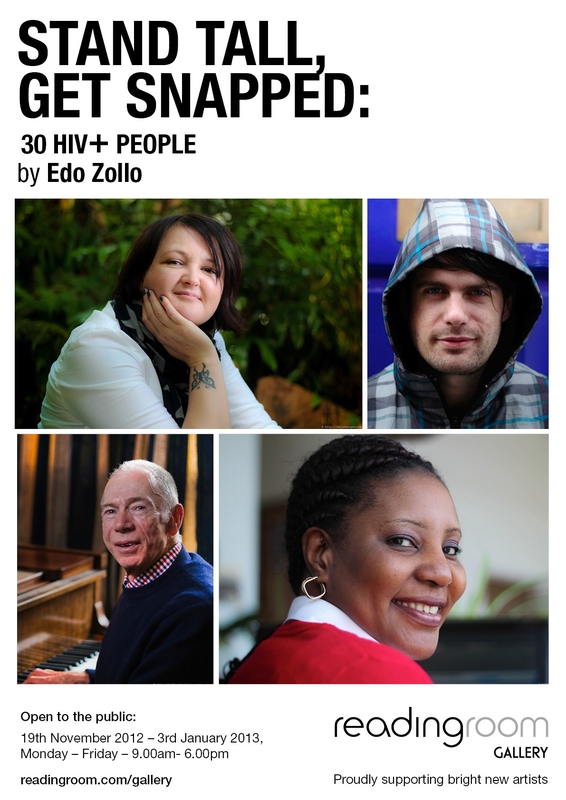 It features the photographs and stories of 30 HIV positive individuals from all walks of life, ethnic origin, orientation, gender, age, UK location, and so on. 30 participants were chosen to commemorate the number of years since the first official recognition of the HIV epidemic, and the death of Terrence Higgins in 1982 whose friends went on to form the Terrence Higgins Trust (THT). The aim of the project is to demonstrate that HIV can affect anyone, and dispel the myth that it is just an issue on the whole for gay men or people of Black African origin. 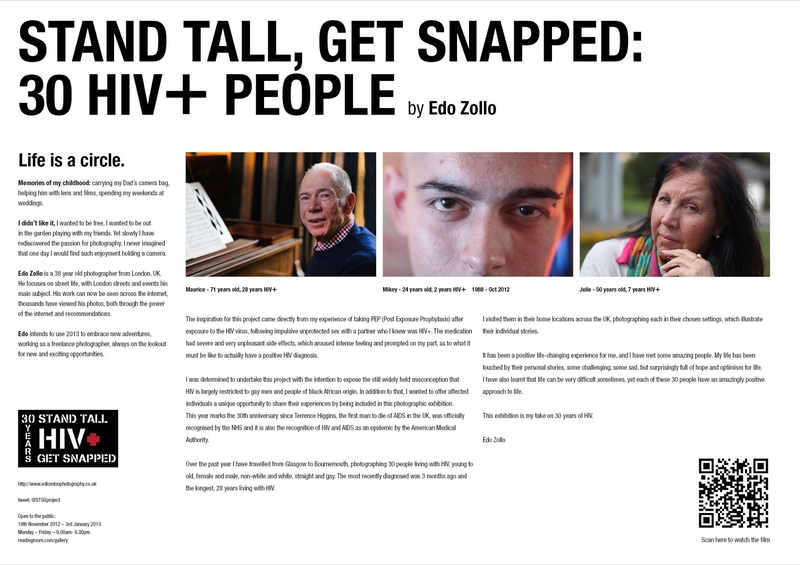 This exhibition is an important step in removing the stigma that surrounds HIV and a move forwards for those who still live with the condition in silence, and, in many cases, fear. Please do come along to find out more about this groundbreaking work, find out more about HIV and those living with the virus. 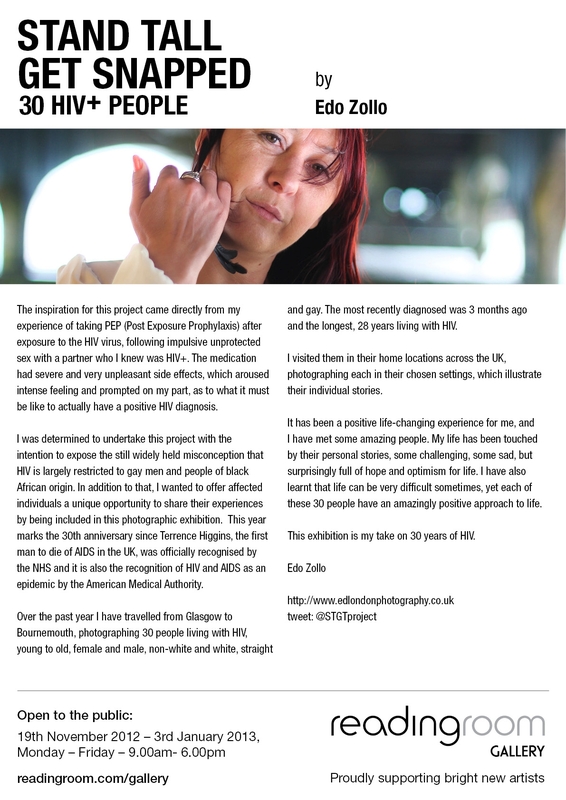 By seeing the exhibition, and hearing the stories of those affected, we can together begin to eradicate the stigma that so unfairly blights the lives of those living with HIV and help educate all on the risks and how to avoid the virus. The Crescent is proud to be participating in this very worthwhile project. We look forward to seeing you there! Link to yesterday’s coverage below of the save the crescent story on BBC3 Counties Radio, including interviews with service users and John Sessions, from 6.45 am, (42mins 29 secs ) plus coverage at every news bulletin on the half hour and hour, (from 1hr 30 mins 10 secs) all the way to midday, and an interview with the Crescent Manager just before 8 am (at 1hr 54 mins and 50 seconds). Please write to your MP to complain, protect your local services, soon this will be affecting everyone, and not just those living with HIV. Soon any service that is not a vote winner will most likley be facing cuts when funding moves to local authorities next April. Don’t let that happen, complain now ! Funding allocated for Aids and HIV support is being diverted to other services, claim the supporters of the threatened Crescent centre in St Albans, Herts. Funding allocated for Aids and HIV support is being diverted to other services, claim the supporters of the threatened Crescent HIV and Aids support centre in St Albans, Herts. Hertfordshire County Council has been accused of making cuts from HIV and Aids support funding to put into other areas of social care. But the situation is unlikely to be unique. An independent review by the National Aids Trust in 2009 highlighted the importance of the Aids Support Grant made by the government to local authorities to fund local services. NAT warned that services may be threatened unless the ASG was “ring-fenced”, preventing the money from being diverted into other services. The ASG is set to increase year-on year for the next two years, following a campaign led by NAT in 2010 to ensure sufficient resources. The Crescent in Hertfordshire was told in January 2011 that their contract would not be renewed in spite of an earlier agreement that if the centre could make savings on its spending, it would be funded. The Crescent has had no funding since June, and is currently surviving thanks to its volunteers. Fundraising efforts have been backed by gay actor and former St Albans resident John Sessions. Despite this, the centre is still struggling. The Crescent continues to fight its closure and challenge the council on its decision withdraw its funding.